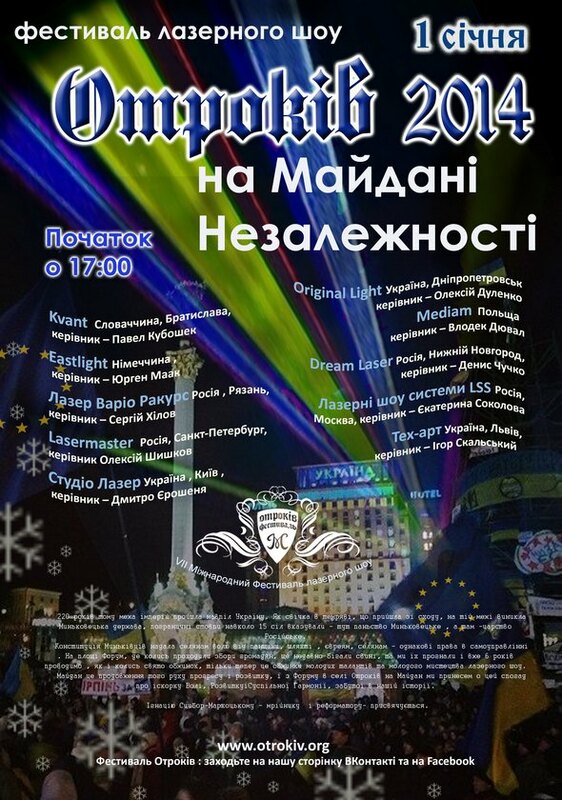 January 1, 2014 at the Kyiv Maydan theVII-th Laser show Festival "OTROKIV" will be held. for whom the awakening of his people are not welcomed! 220 years ago the limit of empires passed through Ukraine. And like a candle in the darkness, that came from the east, on this limit emerged the state of Myn’kivtsi. The borderline pillars around 15 villages pointed out - this is the Domain of Myn'kivtsi, and there 's Russian kingdom. The company TechArt joined the international Association International Laser Display Association (ILDA). Тема цьогорічного ФЕСТИВАЛЮ ЛАЗЕРНОГО ШОУ - ФЕЄРІЯ СВЯТ. A sample combination of video and laser projections on a water screen, August 2012, Ternopil, day of water sports. 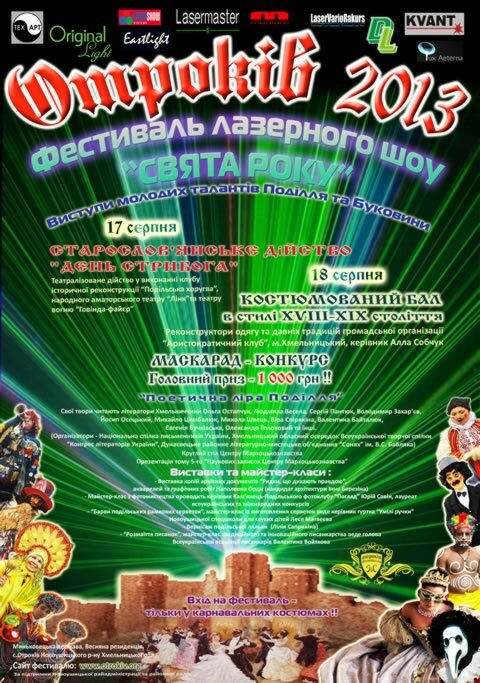 We present to your attention 9 video laser show, which was shown during the 5-th international festival "Otrokiv in 2012." The laser show was presented by the participants from Ukraine, Russia and Europe. TECHART company is ILDA member.